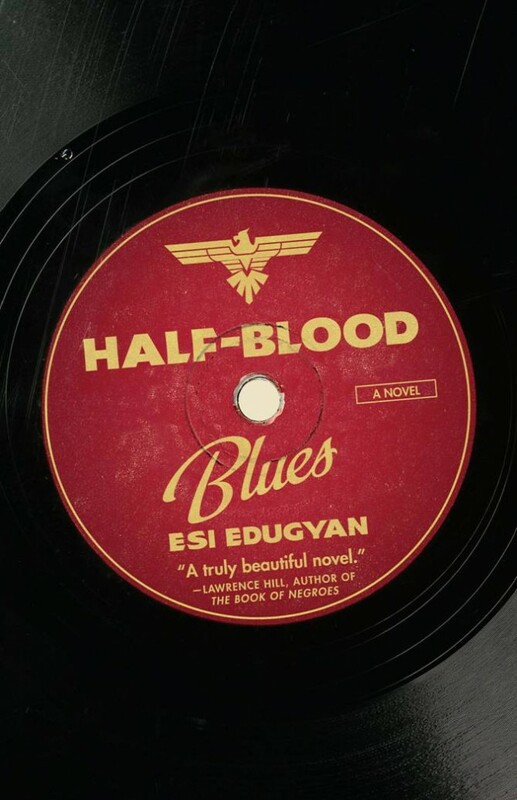 Esi Edugyan’s novel Half-Blood Blues, which was nominated for Britain’s Man-Booker Prize and won Canada’s Giller Prize, offers a compelling and moving story about jazz in Berlin and Paris at the beginning of World War II. Throughout its history, jazz music’s global identity has often collided with the peculiarities of the local cultures where it is performed. Edugyan makes the most of this conflict by setting her story in Nazi and wartime Europe when the music carried dangerous meanings. Half-Blood Blues is powerful because it takes place at the intersection between the “jazz world” and the politics of nations. Sid and Chip are two American jazzmen living in Germany whose sense of self revolves less around their Americanness than around their music. Their complicated, and at times tortured, life-long relationship is the thread which ties the story together across several decades. But the music alone does not shape their lives; racial politics are also a factor. Although light-skinned Sid passed as white as a child, he identifies as African-American. For both Sid and Chip, 1930s Berlin is a refuge from Jim Crow, and they can still earn a good living there as authentic American jazzmen — an irony in what is rapidly becoming the Nazi racial state. The band they form includes three Germans, one of whom, an Aryan-looking Jew, regularly escapes notice. More problematic is the presence of the band’s young trumpeter, Hieronymus Falk, the son of a black African soldier and a German woman during World War I. Hiero, as his friends call him, becomes the character on whom the plot turns — not quite the novel’s “hero,” as his name would be pronounced, but certainly the figure without whom the story would not take place. The “half-bloodedness” of the novel’s title refers, among other things, to the complex mixture of the men’s racial and national identities in a country that increasingly demands purity. They celebrate the fact that jazz is the product of the mixing of peoples and sounds, even while crossing those boundaries makes their lives more difficult. The bandmates’ relationships are defined by high-testosterone male bonding and by insecure posturing and self-doubt. They love and support each other while also undermining one another. What holds them together, sometimes tentatively, is their music as they try to keep the international jazz world separate from the problems of nation and race. The music and the performers’ racial identities are inevitably politicized by the tightening noose of Nazi nationalism. When their Jewish bandmate is violently attacked in the street and the musicians fight back, they immediately realize the need to flee the Germany they had long considered relatively safe. Fortunately, they have a way out. Delilah Brown, a mixed-race Canadian singer and a temptress worthy of her name, has arrived in Berlin looking for the group. Dispatched personally by Louis Armstrong who is residing in Paris at the time, she not only offers them a means of leaving Germany but also the opportunity to record with the greatest jazz musician of the age. Drama unfolds as they work to secure exit visas, a difficult endeavor given the citizenships of the band members. Ultimately, the reason Armstrong is so interested in these musicians is because of Hiero’s renowned talent. He is the only player who can rival Satchmo on the horn, and Armstrong wants to see “the kid” in action for himself. Now Paris becomes their refuge, and the band sets out to cut a record with Armstrong which could make them instantly famous. Plans falter, Armstrong leaves, and tensions between the band mount as they try to make the record on their own — a jazz version of the Nazi anthem the “Horst Wessel Song” devised as a tongue-in-cheek insult titled “Half-Blood Blues.” It is their attempt to strike a blow for the cosmopolitan jazz world against racialized nationalism, and it symbolizes how jazz became a form of resistance to the Nazis both in France and in Germany. But at this crucial moment, the music that has held them together for so long begins to tear them apart. Hiero’s German citizenship leads to his arrest and, everyone believes, to an extermination camp. Edugyan moves the reader through multiple time frames, shifting back and forth from the late 1930s-early 1940s to just after the collapse of European communist regimes. In the early 1990s, Sid and Chip are reunited by a German documentary film about the now-legendary recording made in Paris and the young trumpeter whose amazing performance — and disappearance — have captivated the jazz world. Hieronymus Falk has become famous beyond all measure for this one record, a mythological performer akin to Mississippi bluesman Robert Johnson whose talent could only be explained by a deal with the devil. But the documentary brings back too many old memories and demons for Sid. Now retired from jazz, Sid struggles with the resurrected past because for him, Hiero was not so much a great talent as a great rival, both musically and for Delilah’s attention so many years before. At its core, this novel is an extended meditation on memory and the pain it can bring. Edugyan recreates an African-American jazz slang so that she can tell the novel through Sid’s voice as he looks back across the years, working through the layers of the past. That voice becomes increasingly confessionnal in tone as we realize that Sid, in fact, has something profound and shocking to confess. In the end, jealousy and betrayal become central to the plot more than politics or race. But politics and race allow these men to make some crucial personal choices that shape how they end up tormenting one another. 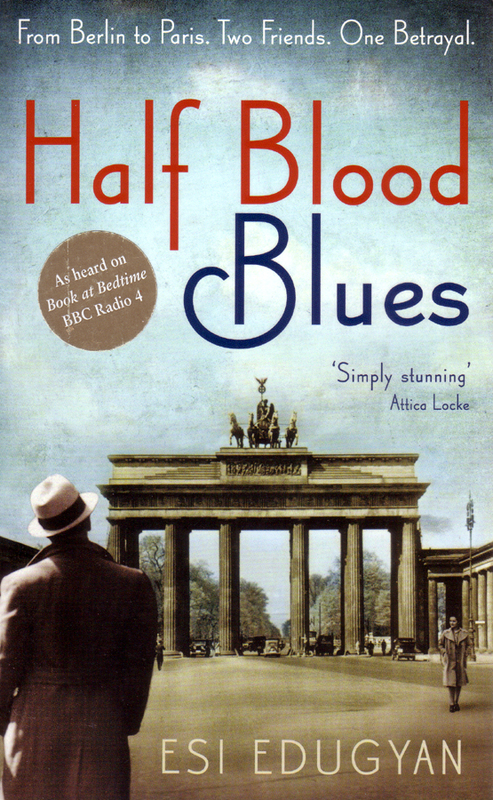 Most of the novel is set in Berlin, so for French historians looking for teaching materials, the appeal of Half-Blood Blues may be more as a way of highlighting forgotten victims of the Nazi occupation of France. The novel paints an impressionistic portrait of Paris in 1940 and the anxiety of a city under siege once the band flees there. Even though occupied Paris is relatively liberating for these musicians, they must continue to watch their backs and fear for their safety. One might draw comparisons with Suite Française for some elements of understanding the city during the war, although that novel provides a much more detailed picture. In the end, Paris is not really part of this story. Almost no French characters appear, and the city is merely a backdrop for the larger personal drama playing out between the musicians. As such, this novel might be more useful in a course comparing France and Germany during the war, or dealing with the broader cultural politics of Europe during this era. Edugyan offers a glimpse of Paris’ place in the jazz world, although her goal was clearly not to write about jazz in Paris. There are no French jazz musicians or clubs, no French fans or critics in this story. Once the musicians arrive, they are largely holed up in their studio and rarely venture out into the city except for a few Montmartre cafés — with one fateful exception on which the plot turns. Armstrong (who wasn’t really in Paris when Edugyan places him there) is the representative of the broader jazz scene, not the local musicians. The band’s flight to Paris references the importance of Paris for the history of jazz, but does not make anything of it. Nevertheless, the strength of this novel from a jazz perspective is that Edugyan captures the global nature of the jazz world — mixed race German-speaking African-Americans, an Afro-German, an Aryan-looking Jew, assorted Germans, and a few others who cross national and cultural boundaries to perform a music borne out of exile and diaspora. Edugyan’s title suggests how amazing — and how burdensome — the global story of jazz truly is. On its own merits, Half-Blood Blues is a remarkable, lyrical novel that weaves together powerful human stories chronicling the life-long impact of individuals confronting their personal choices set in a richly recreated jazz milieu. It is also a meditation on forgiveness, something important in the context of post-war France and Germany, and the painful difficulties of remembering what happened during the war.